Literary agencies are a relatively unknown quantity in China and almost all started as overseas operations, including Big Apple Tuttle Mori Agency and Bardon Chinese Media, which both started in Taiwan, and Andrew Nurnberg Associates, from the UK. 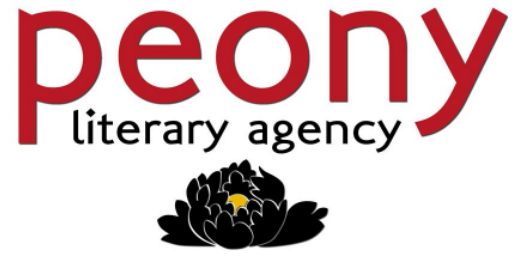 The latest newcomer — Peony Literary Agency — hails from Hong Kong. Launched in November by Marysia Juszczakiewicz to replace the agency formerly known as Creative Work, Peony has offices in both Hong Kong and Beijing and has in just a few short months attracted numerous high profile clients, from literary lights such as Su Tong (author of Raise the Red Lantern and The Boat to Redemption, winner of the 2009 Man Asian Literary Prize) to race car driving youth icon Han Han and romantic pop rebel Annie Baobei. “What makes Peony different from the others,” says Juszczakiewicz, “is that we not only sell books into China, but we offer author representation for Chinese authors to the West, and are offering Chinese writers representation in China, which is rare.” As one example, she cites client Yan Geling, for whom the agency is managing business affairs within China and presenting her new novel to Chinese publishers. “We have five of the major Chinese publishers offering for the novel and promising print runs into six figures,” she adds. Juszczakiewicz’s strategy to build the agency has been to “look at writers one by one” in an effort to try and discover which writers might be best suited to UK, American and European audiences. Some writers, no matter how popular in China, need an intermediary to help a Western editor understand their appeal. One such author may be John Chan (陳冠中) who has written a dystopian novel entitled The Fat Years. Set in a futuristic China, the title comes from the notion that 2013 will inaugurate a new era of material prosperity for the Chinese. Despite that, all is not well and the main character — a Taiwanese writer living in Beijing — discovers that a month (filled with rioting and other mayhem) has gone missing out of everyone’s lives…just disappeared. He sets out to find out exactly what happened. Already published in Hong Kong by Oxford University Press and scheduled for publication in Taiwan, it has become something of an underground phenomenon on the mainland. VISIT: The Web site for Peony Literary Agency. DISCUSS: Which Chinese Books Do You Want Translated?